Because I still have a large body of facts from history located quietly and portably within the privacy of my own mind, I have a nice cushion to fall back on when I encounter troubling open declarations about reorganizing the nature of business and the economy and society. Especially when these plans originate among parasitic taxpayer funded international bureaucrats, higher ed administrators, and Big Business wanting to protect its current turf and revenue by simply hiring more lobbyists. In case you did not think about what the acronym UNPRME stood for in the last post’s linked report, it means United Nations Principles of Responsible Management Education. Think of the United Nations realistically as a place dominated by dictatorships wanting to snuff out liberty in any part of the world or areas of society where it still currently exists. Those are still the crucial issues today in 2014. When I listen to a state legislator boast that the schools have never been very good at academics so now we only want them to ensure that all students are “competent,” he is treating students like subjects under his oversight. When the EU Economic and Social Committee pushes itself as the bridge between Europe and an “organised civil society,” it intends to do the organising so it can dictate what is allowed or impermissable. www.eesc.europa.eu/?i=portal.en.press-releases.30595#_ftn1 When it announces that it is “unnatural” for hunger and obesity to coexist in the same society we can just imagine the extent of the meddling that will now be required in people’s personal lives. When the Common Core pushes teachers to instruct students that certain groups are “right wing” with “extremist views” and thus should be called “Fascist” they are using the term ahistorically as an insult to slime ideological opponents about the proper role of governments. http://dailycaller.com/2014/01/18/teachers-instructed-to-teach-all-right-wing-extremist-groups-are-fascist-video/ They are also making Fascism a “metaphorical lens” for students to view certain types of political activity. When I use the term or allude to it, it is based on going back to someone like Chamberlain or Hayek or Von Mises who lived with people who openly proclaimed this as their organizing philosophy. I go back to these older resources written before World War II or even the annexation of the Rhineland or Kristallnacht because they are based on personal informed observation. They are untainted by knowing the tragic end of the story. That’s what makes the modern day parallels to declared intentions so troubling. Human gramophone was the metaphor in those radio, pre-TV days. Just imagine what the thought controllers intend to do with adaptive software, gaming, and embedded virtual reality. And before you dispute claims of collectivism, it’s all through all these cited documents from this blog. That’s also what all those references to the obligation to promote the common good are about. I am not claiming anyone is planning in 2014 in the West to be a dictator. I am asserting though that all these documents assume that majority will may now impose terms on all citizens down to the nitty-gritty details of life. Dictatorships don’t have to be about a singular individual in charge of all. “Liberty” on the other hand, as long as it is properly nurtured and respected for the mass prosperity machine it has historically proven to be, is a “constant agency of self-renovation.” But that of course is a danger to politicians and bureaucrats wanting to direct society and the economy and being well-paid for life for just showing up and pushing as told. Hence we get the mind arson and no Axemaker Minds all while asserting these education initiatives promote “critical thinking” and innovation. The small print about the innovation being a reenvisioning of society and the economy gets left unread and unremarked on in public. But what if the public sector is the primary driver behind the conditions of despair? What if what has been lost and is being taken away is due to an ever-expansive, self-justifying, public-sector, and a non-profit sector that benefits from its alliance and its grants from the public sector without having to pay its dues in taxes, and a cronyistic Big Business sector that wants to operate with impunity due to its political connections? Out of the frustration of what has been lost and with misleading pitches and propaganda from politicians, the media, and education, are we now shaking the social nitroglycerine described above? Are we increasing the programs that created much of the dysfunction in the first place? Next time we will return to Chamberlain’s concern over what he called “straitjacketing of the mind” in both collectivist ideologies and compare it to known current pushes in the schools and classrooms. When we encounter the exact same point being made over the decades despite dramatic differences in circumstances and intervening events, we have located an important handmaiden to ideology. So before we talk about what is intended, let’s go back to 1983 for some wisdom from a veteran European observer of what were the methods of choice during the Cold War. That great ideological struggle that my research says morphed in its strategies and tools but never vanished as we were led to believe. In his book Why Democracies Perish, Jean-Francois Revel has a chapter on “Ideological Warfare and Disinformation.” Since I believe education and especially this forced, largely invisible, psychological emphasis of changing personal values, attitudes, feelings, and dispositions was, and is, a means of ideological warfare, I looked for some advice from the past. “its job is to fight propaganda not with counterpropaganda but with truth. Unfortunately, this is not something democracies are good at. Disorganize the world. Still useful if you want economic and political power. When I first read a description of Transformational Outcomes Based education and watched it being pushed in the 90s all over the world everywhere with a tradition of liberty and cherishing individualism it struck me as a coordinated attempt to gain unilateral intellectual disarmament. When I read Psychosynthesis complaining about how those “who identify themselves with their mind and are proud of their intelligence” have “lopsided development” that is difficult to change but those with a “loose self-identity” are more adaptable and amenable to change it gave me pause. Let’s use education to force a laying down of that mighty weapon–the human mind–lest it develop changes in unapproved directions. We may not be dealing with Capital C Communism anymore but we certainly are dealing with a ruling elite wanting to use the financial and coercive powers of the public sector globally to dictate what any of us can be, or become, or perhaps even do, in the future. As I first explored in this post http://www.invisibleserfscollar.com/when-gaming-intends-to-shape-and-distort-our-perceptions-of-everything-around-us-viva-la-revolution/ , educators and the ruling elite and those who would like to join have a modern day tool in the computer and adaptive software and especially the coming classroom emphasis around gaming that would have made Assagioli and Maslow drool. No wonder UNESCO sees media education as the means to achieve Marxist Humanism. No wonder CCSSI wants media and digital literacy to be as important as print literacy. The power of images. Especially when schools define ‘engaged learning’ as the goal and immersion in a virtual reality as the means. Then the student can regularly try out utopias or envision potential future catastrophes that MUST be avoided. And precisely what will tell a student that something is in fact unworkable in reality or unlikely to really happen? An actual catastrophe with real lives? The “Transforming Behaviour Change” report talks about preparing the “brain for social bonding and empathy” but what if we are bonding with bullies who have no desire for Peace in the real world? What if we are being primed to use the “motor-power of imagination” to redesign an economy and society in ways that ultimately cannot maintain the prosperity we will need to consistently keep most people well-fed? Feeling and intuition may create adaptability to transformative change but it is only knowledge that can deal with the inevitable consequences. And personal knowledge is precisely what is being extinguished in order to gain a widespread personality that seeks, or is amenable to, such wholesale change. “Behaviour change becoming an explicit goal of government policy” sounds like something from a science fiction novel, doesn’t it? Not a well-funded initiative of the present called the Social Brain Project. Never forget please that the US and UK are already working together as lead partners in seeking behavioral, economic, and social change as part of the Belmont Challenge and Future Earth Alliance [see tags] work. Hiding conveniently from prying eyes over in Sweden. So once again this is NOT a matter of pulling together sensational quotes. However, I do intend to end with one more from the Social Brain Project so we can ponder what freedom will mean in such a future vision. The subject is not Algebra or English. It is us and our children. 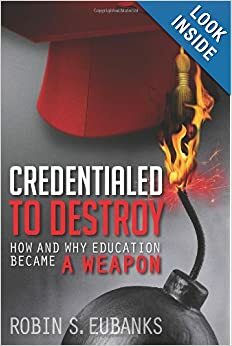 Being launched via transformative education into a world where our perception of reality and new values and attitudes are to be shaped just as surely by deliberate propaganda as anything a Khrushchev or Brezhnev ever sought to do during the Cold War. Time for the Collective Will of Many Visible Hands to Challenge the Allegedly Destructive Invisible Hand? Right now the favored attack being used to discredit people who point out the inconsistencies in the stories being put out about the Common Core US education reforms, or the poor history of global climate models in predicting reality, to use two current examples, is to retort that someone is “part of the black helicopter crowd.” Now, given the incredible schemes I have uncovered and described with detail on this blog, telling you I am the last person who believes in black helicopters might strike you as untrue. But I really did not go looking for these stories. They rather found me. I just recognized what I had to be looking at and then wanted to know and document how and why. –I have doublechecked the color of the helicopters to make sure they can be accurately described as black and not navy. At that point I will write about an incredible story but only because I want all of us to have time to take the appropriate action. The equivalent of running or ducking if we really had helicopters coming. I have friends who ask how I can stay so calm while describing such machinations in the public sector. But honestly, as a history major, this is all rather fascinating to me. Plus it is quite clear this was all never meant to be uncovered or linked together in time. So pulling this all together before it all takes effect does give me some solace. But despite everything I read, I was still startled to hear this morning that President Obama would be announcing his climate plan this Tuesday afternoon at Georgetown University. http://www.youtube.com/watch?v=gcL3_zzgWeU&feature=youtu.be is the White House announcement video released yesterday. For a likely nonexistent problem just like all my documents and reports and numerous blog posts always indicated would be sought. The reason that social, economic, and political transformation would supposedly be necessary. And I should be the last to be numbed. After all I really have read all those Club of Rome books and reports and the Belmont Challenge document itself. Maybe that is part of what caused the feeling of being stunned. Let me give you an example from Jared Duval’s 2010 book Next Generation Democracy: What the Open-Source Revolution Means for Power, Politics, and Change. Duval is a member of that UN-affiliated World Future Council and the book laid out his vision for an economy centered around “real, participatory democracy.” As far as he is concerned, the Millennial Generation and others “will reconceive fundamental aspects of how our state and local governments are set up” and then impose that new vision on everyone. Consenting, appalled, or unaware. But Duval also gave examples like the devastation of Hurricane Katrina being due to “the failure of conservative, limited-government ideology.” Which is not true. If anything, Katrina and the cited levee boards were a reminder that government powers and tax money frequently get turned to fulfilling private, selfish personal interests. Likewise, it was not “unchecked private whims that gave us the subprime loan crisis and the recession that officially began in December of 2007.” Both of those were ignited by government interventionism and cronyistic taxpayer subsidy of the risk without any chance for the profit if things turned out well. And for such ignorance of the real reasons for these debacles we are going to impose more cronyism a la a directed Industrial Policy/Green Economy with more public/private partnerships? Find a reader who is more naive for that sales job. Now I snarked Kumbayah in the last post but let me point out that some stereotypes are accurate and some prejudices are grounded in fact and leave it at that. The universal culture of peace aspiration is nice but not if you are disarmed– mentally, physically, and emotionally–to defend yourself when someone else is the aggressor. Unlike Jared, history does does not strike me as showing people are basically cooperative by nature. Given his poor sense of causation that I described above, I am not anxious to try out his and WFC’s theory of human nature. Or the kind of shared values acceptable to him, WFC, or UNESCO. Like Anthony Giddens, WFC declared that “even if climate change were not happening, we would still need to change our energy systems, restore the health of ecosystems, create more livable cities, vibrant communities and resilient localities, use less resources, spread wealth, increase international peace…” No wonder no one seems to care about actual temperature records in all this climate modelling. Both Giddens and WFC are basically saying we want to impose Uncle Karl’s little c Positive Humanist vision in the 21st century and we won’t take no for an answer. And Tuesday we are likely going to find out someone else who will not take no or voter disapproval for an answer. I first wrote about the World Order Model Project and its insistence on creating shared humanistic values here http://www.invisibleserfscollar.com/reorienting-world-order-values-via-the-intervention-of-activist-education-and-progressive-politics/ . I think all these books I have mentioned indicate WOMP and the Club of Rome and various UN entities have done a bang-up job in their expressed goal to “take hold of public and elite imagination” of the “need for world order.” And now it is time for the rest of us to get with the program because we truly do have an international elite who want to rule. What Falk called the “power-wielders.” And they want the rest of us to adopt the needed values, attitudes, beliefs, emotions, and dispositions to go along and finance all these transformative plans. That certainly would account for all this coordination over decades and countries. And the consistency of aims under a variety of names. And quite frankly why the overall description does sound like a black helicopter event. After all, the reality of climate change turns out to be quite optional to the planned transformations. Can you imagine what your teenage and early 20s would have been like if you got a Get Out of Jail Free card for your 15th birthday? And were then told it could be used 5 times or, better yet, unlimited usage. OK, stop dwelling on the mischief that would have ensued or already happened but without punishment this time. Bet you learned your lesson. With that card you wouldn’t have had to. What I am about to point out is that the Common Core has become the all-purpose excuse that generates access to loads of taxpayer money to implement theories that may have never been tried before. Or tried with a tragic history. Or have been created by political theorists and professors and even Soviet psychologists as we keep seeing to create wholesale noetic personal changes to gain transformative system changes. Shifting away from an ethos grounded in the primacy of individuals and the choices they make to groups and collectivism and enforced responsibilities as the hallmark of citizenship. All at our expense. Created by people who do not have to pay a personal price if this is a disaster and have much to benefit from in terms of promotions, new jobs, or locked in revenue streams for the requisite 4G wireless contract that will go with all those tablets for every student after you hire a former urban school super to be your Head of Sales. Now that’s not the real story as we know well but it buys time and your dollars while the real moral and ethical and affective orientation instead of knowledge continues apace in our schools and higher ed. Called student-centered learning or individualized learning. With potential wakeup calls like “Student Loan Write-offs hit $3 Billion in first two months of Year” being off most people’s radars. http://www.chicagotribune.com/business/sns-rt-us-usa-studentloans-delinquencybre92o11k-20130325,0,6746534.story . Also likely off your radar screen is the related story of the National Science Foundation doing Neuroscience and Cognitive Science research to see how these new forms of instruction and assessment and classroom practices physically impact the brain. http://www.nsf.gov/pubs/2013/nsf13067/nsf13067.jsp?WT.mc_id=USNSF_25&WT.mc_ev=click . Now that’s not quite the wording of that Dear Colleague letter although “how the brain regulates the individual’s biology…and allows organisms to behave in and adapt to changing environments” is awfully close. Especially when we add in NSF’s involvement in the globally transformative in every respect starting at the level of the human mind, Belmont Challenge, or its decision to use education to squelch climate skepticism as part of the USGCRP 2012-2021 initiative. Or the fact that NSF reports to John Holdren whose colleague of many years, Paul Ehrlich, is seeking new kinds of minds that do not fall back easily on rational thought. I have not mentioned the Axemaker Mind metaphor recently but destroying it is very much part of this ed reform vision plus the accompanying systems transformation for Equity and Equality. Many of you may not know if you use dynamic MRI imaging of a brain that reads phonetically and fluently and compare it with the brain of a teenager or adult of limited literacy you visually see the firing throughout one but not the other. Let’s think about that picture of Korea from space at night with the North in black and the South all lit up. If you are a school or classroom producing brains that still light up like South Korea in five or 10 years, you have not been following the sociocultural model of collective emotional understanding. And it will be physically apparent. The effective classroom at producing new kinds of minds with cyberlearning (also a big NSF initiative) and collaboration and no more lectures may well produce brains that image like North Korea. Some Equity, huh? Equity and Equality also come into play in the reforming the high school initiatives that are shifting everyone toward what the Soviets called the polytech model (although they did pull out their finest minds and send them to academic boarding schools to retain their abilities). That’s not going to be on your radar either probably even though President Obama did mention P Tech in his State of the Union. Just to point out though that this dramatic overhaul is not really about the Common Core I came up with some links that precede CCSSI. Remember Jeannie Oakes of the Participatory Social Inquiry post? http://www.invisibleserfscollar.com/throwing-an-invisibility-cloak-over-the-classroom-to-get-to-deweys-participatory-social-inquiry/ She was involved in this transformation in California before leaving for the Ford Foundation and was kind enough to tie this high school initiative to its real source–John Dewey’s 1915 Democracy and Education and his idea of education by occupations. http://www.connectedcalifornia.org/downloads/LL_Expanding_Pathways.pdf . SREB has also been on this bandwagon for a long time as the high school vision for ALL students as are other groups. The Common Core excuse and the College and Career-Ready slogan then mask a whole lot of huge philosophical, politically transformational changes that are mostly unknown. Being implemented without much discussion to avoid the previous controversies or pesky arguments about constitutionality. Especially when you think through a government with police and coercive power collecting and sharing data with vendors on all aspects of students’ developing personalities and interests and attitudes and values. A marketing and political consulting dream come true. Now that I have pointed out how you get transformative change at the level of the individual student in place without really being seen and also revealed that there will be means of monitoring compliance other than data collection of Student “Growth” (another concept that tracks to Dewey) and those Effective Teacher evals. I want to take the accompanying social, economic, and political vision out of the 21st century or the 1990s. Back to the mid-80s while the Cold War was still simmering if not raging. Because when sociologist Robert Bellah and others wrote the 1985 book Habits of the Heart: Individualism and Commitment in American Life (reissued usefully in 1996) they were describing the communitarian vision for the future we now associate with Amitai Etzioni and that Positive School Climate Executive Order (another off the radar screen initiative). He was describing the workplace vision we have tracked now to Peter Senge’s Fieldbook and Otto Scharmer and Shoshana Zuboff’s similar visions of the future of capitalism. “The transformation of our culture and our society would have to happen at a number of levels…Personal transformation among large numbers is essential, and it must not only be a transformation of consciousness but must also involve individual action…out of existing groups and organizations, there would also have to develop a social movement dedicated to the idea of such transformation… If the Civil Rights movement failed fundamentally to transform the position of black people in our society, it was because to do that would have required just the change in our social ecology that we are now discussing. [See now why urban schools had to remain dysfunctional whatever the resulting chaos?] So a movement to transform our social ecology would, among other things, be a successor and fulfillment of the Civil Rights movement. Sound familiar? Do you have any idea how many publicly employed administrators and professors and degree holders insisting on being called “Doctor” have credentials designed primarily to get this vision into effect? Lots. And now they have the perfect cover, in their mind, to finally finish the Civil Rights Movement. Except to get there they are stripping away the veneers that brought modern civilization and the prosperity of the West like the division of labor and contract instead of status. And all we get are the bills and promises and utopian political theories that this time human nature will change. Now won’t Performance Assessments and a total alteration of the nature of education come in really handy for such a goal? That title is from an August 7, 2012 presentation in Portland, Oregon by Paul Ehrlich on conducting research with his Millennium Assessment of Human Behavior (MAHB) that we have already talked about. It was his later remark about “creating a vision of a future in 2050” that caught my attention most. It reminded me of a remark by Norwegian Jorgen Sanders on why he could be so confident that his 2052 predictions were not just a matter of probability. He said it was because processes were already in place to make the desired future come true. The UN Secretary General has said within the last year that there is no further need for treaties. That UN education initiatives will be sufficient to realize its desired future. That’s a lot more confidence than I feel and I certainly have more control over my future than a bureaucrat talking of societies and economies with millions of people and activities. What’s really up? This post was originally going to just be about Professor and Change Agent Extraordinaire David T. Conley and how the Common Core implementation is taking terms like Noncognitive and christening them anew as Metacognitive Learning Skills. And the Ed Week essay of January 23, 2013 “Rethinking the Notion of ‘Noncognitive'” was likely to be the last time anyone acknowledged there is no content knowledge there. Just a hat trick to get rid of the deliberate departure from a rational thought focus. I recognized Conley’s name as being involved with Outcomes Based education in the 90s and Oregon’s push for a change in K-12 focus to proficiency passing and a Certificate of Mastery. And that Proficiency Passing sounded a lot like the current drumbeat to Move On As Soon as a Student reaches Competency. No new ideas. Just new names. But when I did my search for Conley up popped all the work he has done in recent years for the Gates Foundation and various states getting ready to implement Common Core on what College Ready really means. And it was stunningly inconsistent with what we are all expecting College Ready to mean. Even apart from the stories I have written on altering the nature of college to fit with where Common Core is taking K-12. Now I really had the makings of a story on the continued duplicity involved with the actual Common Core classroom effect. But it was a remark in a 2010 Kappan interview that shifted my focus back to Portland and Ehrlich and whether I could link Common Core and MAHB to that Future Earth Alliance I have written about and other UN transformation activities. Conley makes no bones about the fact that Common Core is actually “an overhaul of the system from top to bottom”. Absurd but it is what is going on. On top of that though he says this new education system will be “based on the real educational needs of students, with an eye constantly toward the future world and society in which students will live.” Now that futurist talk reminded me of William Spady’s Transformational OBE Future Life Roles http://www.invisibleserfscollar.com/future-empowerment-paradigm-or-educentric-tradition-guess-which-began-its-reign-20-years-ago/ . And his links to Portland. And Bela Banathy’s. And the fact that Spady says in his 1997 book that Oregon stuck with OBE even after it became notorious. And that Peter Senge and the Waters Foundation now consider the Portland School District a Systems Thinking exemplar. Two more connections you likely do not know, Portland is considered to be the ICLEI Agenda 21 role model for Regionalism. And Vicki Phillips who now heads the Gates Foundation’s Education Initiatives was the Portland School Super. Leaving Pennsylvania to take the job. So Portland is Ground Zero for the idea that education can be an instrument to transform the future. Just like Ehrlich says he wants to do globally. Conley’s essay wanted to establish “semantic parity between cognitive knowledge and noncognitive skills” like beliefs, attitudes, and feelings. Conley wants us to see knowledge and unfounded beliefs and feelings as “equals” which I suppose is one way to alter the future. Just needs some Name Laundering. And then he goes on to say that with this declaration of equality, “the relationship between the two would be less hierarchical, more symbiotic.” Instead of the rational, well-stocked mind being in charge of behavior, emotions and false beliefs (or there would be no reason to dethrone knowledge) would govern. Exactly what Ehrlich says he wants to achieve. And quickly. Also sounds like his Newmindedness push of the late 80s. Now I am not going to tease you further, I was able to locate a January 2013 issue of Human Dimensions where Anne and Paul Ehrlich announced that MAHB was working with IHDP, the International Human Dimensions Programme on Global Environmental Change. And IHDP is involved with UNESCO and the Future Earth Alliance and using the social sciences to reorient society. And in 2011 IHDP put out out a document describing precisely how it plans to use education to do just that. And I have a copy as of late yesterday. Busy weekend for Education’s Miss Marple. So I am not speculating about the Ehrlichs being involved with the global education transformation anymore just because of the similarities to what is being sought. Which makes David Conley’s attempted official laundering of Noncognitive (the elements that made OBE so controversial) and College Ready so important. The Gates, Joyce, and Hewlett Foundations all help underwrite Ed Week and they are each deeply involved with elements of the implementation that vary tremendously from the popular sales job to parents and taxpayers of what Common Core is about. You don’t get the position of headline essay unless this is an official position to be distributed widely. Which it of course was. Remember these are the Learning Goals for ALL students. The highly capable as well. This type of Social Engineering via K-12 education hiding behind duplicitous definitions is precisely how UNESCO bureaucrats and the Ehrlichs and numerous professors addicted to all the NSF grants to use the social sciences and education plan to get “a near-total revision of human behavior.” All these schemers can alter the future. What they CANNOT achieve is their desired Vision. And they seem to not know or they have forgotten that lesson from the past. I mentioned Vicki Phillips, the former Portland School Super. In 2010 she moved to Gates with the responsibility College Ready. Not Common Core. Not creating consistent programs of solid content from state to state as the PR campaigns suggest. College Ready. Conley’s College Ready. Search it out. He has repeated this vision of what College Ready really is numerous times since 2007. EPIC appears to be bringing in the dough that was once your money. Or maybe Bill and Melinda’s or Warren’s. Maybe Andrew Carnegie’s too. When the Democratic Platform for 2012 mentioned education they did not talk about the Common Core. The content standards really only exist to gain the initial political approval from the states. They mentioned having All Students College and Career Ready. We have already discussed that Career Ready actually has a largely Communitarian mandate. To be demonstrated daily. Now we know what College Ready means. So nobody gets to know much but they will be well practiced at believing and feeling and collaborating. And self-monitoring. Sounds like a Blood Pressure check. Being stealthily prepared for that Ehrlich vision. At taxpayer expense. With everything aimed at removing the rational mind and the legitimacy of acting as an individual. In the name of what sounds like a laudable goal to be embraced. The graphic levels of personal, psychological, manipulation laid out in the Chapter on “Whole Systems Thinking in Education and Learning” (from the same source as the Change the Filtering Mindset from the last post) sent me scurrying for a way to put what was going on into perspective. It fits too well with what was being pushed in the name of Transformational Outcomes Based Education in the 90s for me to pretend “Oh No, they do not really mean that.” It fits with the actual PBIS/Social and Emotional/Deep Learning Emphasis of the CCSSI classroom implementation I have been profiling for months. Who is they? Why a modern day class of what the Soviets called the Nomenklatura, politicians, bureaucrats, hangers-on, and Crony Businesses all wanting to either live at taxpayer expense or have access to the privileges and protections of an aggressive regulatory state. People, this is the historic norm. The norm of a lack of individual personal freedom that parts of the world for a few hundred years in human history managed to put behind them. Until the uniqueness of this way of living became taken for granted like a Legacy Trust Fund that had always provided and every one ceased to learn the habits of mind that had made it possible in the first place. I am now back in the 90s and the 21st Century with a quote on how to gain Transformative Individual Change in Students in order to drive “the shift in society as a whole” via education. This is a long quote with my snark in brackets to remind you we are already dealing with all these described dimensions. Italics in original quote. Programmed via Peter Senge’s Systems Thinking and holistic intervention via the classroom on how to handle yourself politically? An Inculcated Mandate for Altruism and the Common Good with little ability to discern whether the assigned definition really makes Long-Term Sense? I really did go look up brainwashing in two different dictionaries after reading these plans. And the only thing good about having a child in a high school and district seeking to be a leader in this Transformational Educational Change template in the US is I personally recognize hearing the plans for every last one of those dimensions. I am not in the faces of the Gypsy Principal and Super only because I have bigger plans for this information. To tell you, concerned parents and taxpayers (and quite a few teachers who still want to teach real content) all over the world, what is coming and why. Before I finish with the rest of the quoted plans, the blogosphere started noticing the real Common Core implementation this week in this story http://www.powerlineblog.com/archives/2012/12/obamacore-the-substitution-of-propaganda-for-great-literatiure-in-our-schools.php. Good. They are rightfully concerned with the federal government dictating to schools that a certain percentage of high school reading has to be Nonfiction. The story accurately recognizes that this mandate will lend itself to political propaganda in the classroom. Yes, absolutely, and that’s the whole idea. Especially readings that engage Heart and Soul in a compelling manner so that the instilled Beliefs substitute for Rational, fact-based Thought. Well, they left out the Soul that time in the quote but not because there has been any reconsideration of what we saw in previous posts. Wait until I explain in the next post how the government would just like to have a monopoly on Values and sees the promotion of Religious Pluralism, officially sanctioned now of course, as the best way to get to get there. If I were a fiction writer with a soaring Imagination, I could never come up with a story that rivals merely reporting the Facts on what is really going on via Education. Well-hidden facts to be sure but Verifiable nevertheless.